Consisting of dozens of islands and cays spread over a generous swath of sea, the BVI are perfect for both adventure and total relaxation. Although the area has always been relatively pricey, it still lacks the touristy feel of other Caribbean locales. Perhaps the most well-known island in the BVI is Tortola, as it is also the largest and most populated. Then there is Virgin Gorda, which unlike hilly Tortola, offers the visitor more of a flat and arid environment. Another interesting island of note, Anegada is the only coral atoll within the BVI, and is covered with rocky scrubgrass and wandering goats. Like Virgin Gorda, it offers a fairly quiet environment, and like the majority of the BVI, its beaches are impressively scenic. With winter historically the most popular time to visit, the off-season can be quite a bargain. Temperatures are still consistently in the 80s, the rainy season is not bad at all, and many festivals and events would otherwise be missed. Because major airlines do not currently offer direct flights to the BVI, visitors would most likely require a connection from San Juan, Puerto Rico or neighboring St. Thomas. This would then allow access into Tortola through Terrence B. Lettsome Airport. Once inside the BVI, travel to smaller islands is most often accomplished via airplane, seaplane, ferry, or private boat. Intra-island travel is usually relegated to rental vehicle (including the $10 charge for a temporary BVI driver’s license), taxi, or limited bus service. If traveling by sea to the BVI, Tortola, Jost Van Dyke, and Virgin Gorda are all common stopovers for smaller cruise ships. The Baths of Virgin Gorda are not missed by most visitors, and for good reason. 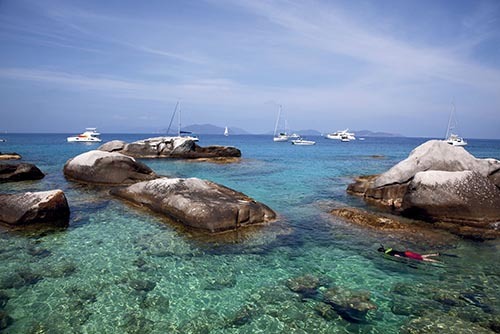 A setting consisting of large, smooth boulders jutting out of turquoise blue water is amazingly picturesque. 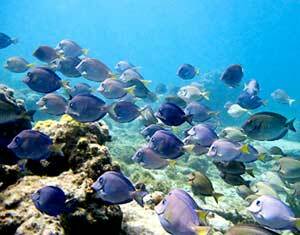 Snorkeling is available right offshore, and once on land, you can actually climb through the rock grottos and shallow pools from one end to the other. 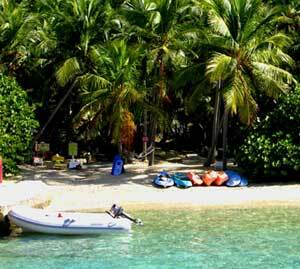 For literature buffs, Norman Island is actually thought to be the real Treasure Island of Robert Louis Stevenson fame. Apparently this is the spot that inspired the pirate tales. Nowadays a popular boating anchorage, visitors often snorkel the caves along its coastline… perhaps looking for hidden treasure. Chartering a sailboat or catamaran has long been a popular pastime within the BVI and is highly recommended. Whether you already know how to sail or else need to hire a captain, this is an amazing way to unreservedly visit multitudes of islands at your own pace. There are loads of companies to choose from. This also allows for quick and convenient access to snorkel and dive spots throughout the BVI, two other major activities. For example, there’s one shipwreck, the Rhone, which occurred in 1867 off the coast of Salt Island due to a hurricane. Even though its postal treasures are surely long gone, divers still continue to swim throughout its ruins, which were famously featured in the movie, The Deep. Other activities of note within the BVI include bonefishing off of Anegada, touring Callwood Distillery on Tortola, hiking Sage Mountain on Tortola, and partying on Jost Van Dyke. In regards to this last one, though, make sure to visit Foxy’s on St. Patrick’s Day or try The Painkiller at Soggy Dollar Bar. 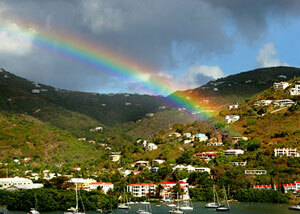 April is not only the month of the BVI Spring Regatta, but also the month of the Virgin Gorda Easter Festival. The latter, occurring on Easter weekend, culminates in beauty pageants, street parades, and over-the-top partying. 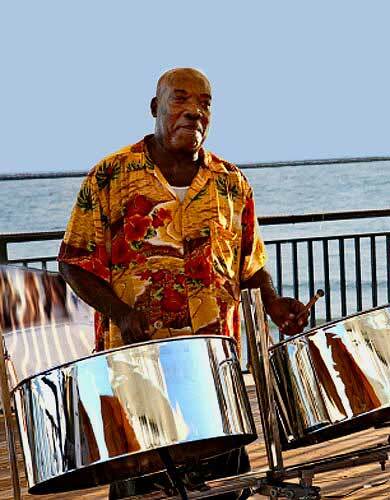 Then in May, there is the BVI Music Festival on Tortola, which draws a variety of musicians from all over the Caribbean and the U.S. Later, in August, the BVI Emancipation Celebration is another popular event resulting in more partying and another major parade, this time with local crowds jamming to reggae and fungi music (again on the island of Tortola). As far as beachside Tortola, there are a lot of great options. The Sugar Mill Hotel offers a hillside view, an enjoyable restaurant, and an interesting past. Sebastian’s on the Beach is, well, just popular because it’s a cool setting with an old-fashioned vibe. Elm Beach Suites is probably the best value in all of Tortola, even hosting local musicians on some nights. Maria’s by the Sea, an in-town spot, is actually fifteen minutes from the beach, but instead favors the busyness of Road Town’s shopping and nightlife. 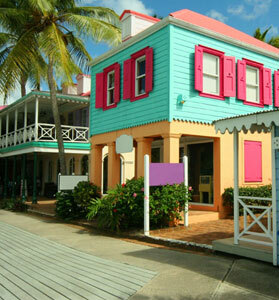 For the most budget of Tortola choices, try the Jolly Roger Inn. Even though some rooms share a bathroom, the décor is fantastically colorful, and the location is convenient to both Soper’s Hole and the West End ferry. Moving over to Anegada, Neptune’s Treasure allows for the ultimate in relaxation at a beautiful beach. Rosewood Little Dix Bay on Virgin Gorda is the definition of a superluxe resort, even offering British high tea. Or, for a different twist on the BVI overnight, try staying in a tent or a cabin at White Bay Campground on Jost Van Dyke. From there, you can snorkel, hike, or just listen to music at the bar. Watersports equipment is rented right off the beach. Top of the Baths Restaurant on Virgin Gorda, overlooking the Sir Frances Drake Channel, offers a brilliantly pretty sunset view along with its usual West Indian fare. Somewhat similarly, Skyworld on Tortola offers a 360? perspective of the surrounding environment, but with a menu of fresh fish, tropical drinks, pumpkin, coconut, and even peach-flavored soups, as well as noteworthy desserts. For the “pirate” atmosphere, try William Thornton’s floating restaurant at the Norman Island Bight. 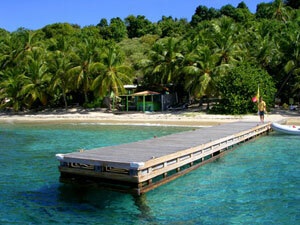 Or else Pusser’s at Marina Cay is always a BVI classic. This local haunt has a special draw with sailors for its camaraderie, good food, and authentic rum. Another popular day stop with boaters, Cooper Island Beach Club offers an open-air restaurant overlooking its own pretty bay. Then for the most “festive” alternative, Bomba Shack on Tortola is well-known for its full moon parties, cocktails, and um, illegal substances. 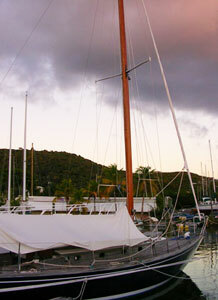 Sailing is a classic BVI pastime. There is a good local straw market on Tortola, but for the island’s more upscale shops, try browsing around Soper’s Hole Marina. 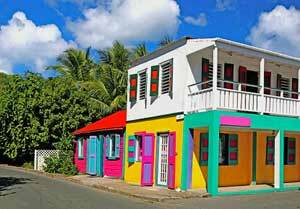 Otherwise, just be on the lookout for artistic creations such as paintings or pottery throughout the BVI. Islanders drive on the left side of the road and walk on the left side of the sidewalk. Also, the BVI are known for being unusually safe. Guns are illegal, and drivers often leave their keys in the ignition when away. In fact, on Smuggler’s Cove there is actually still an old-fashioned honor bar, simply consisting of a refrigerator and a used cigar box in which to deposit cash. C. Kennerly is a part-time writer and photographer who studied history and global affairs in college.